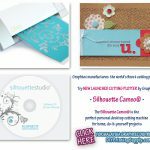 The Silhouette CAMEO® is a type of cutting plotter that are more popular within personal user. This machine is just like a home printer. You can just plug in CAMEO into your Personal Computer or laptop with a normal USB cable. The difference with this machine and other normal printer is that instead of printing it’s using a small blade to cuts. 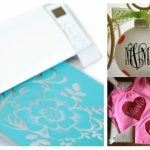 The Silhouette CAMEO® can used to cuts cardstock, fabric, paper, vinyl etc. Amazingly this machine can cuts up to 12 inches wide & 10 feet long. 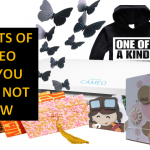 One of the special things about The Silhouette CAMEO® are it has the ability to cuts printed materials. This machine is very awesome as it’s the ONLY 1 of the real cutting tool in the market that can do perfect cutting job without you need to trim anything. 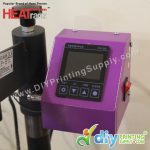 There are tons of crafty jobs you can start to do using this machine. Below are some of the things where we had compiled. 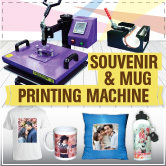 Here are different creative things that can be used and make with this electronic Silhouette CAMEO® machine.